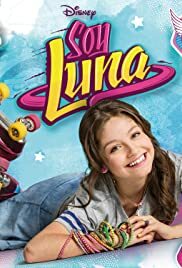 Writers: Jorge EdelsteinStars: Karol Sevilla, Ruggero Pasquarelli, Valentina ZenereSummary: Luna Valente lives with her family in Cancún, Mexico. She goes to school, has her own group of friends, has a job, and loves to skate. However, her life changes when her parents are given a job offer that moves them to Buenos Aires, Argentina. There she finds a skating rink named Jam and Roller where she learns free styling. She makes new friends and falls in love with Matteo Balsano.